A friend (thanks Karen!) 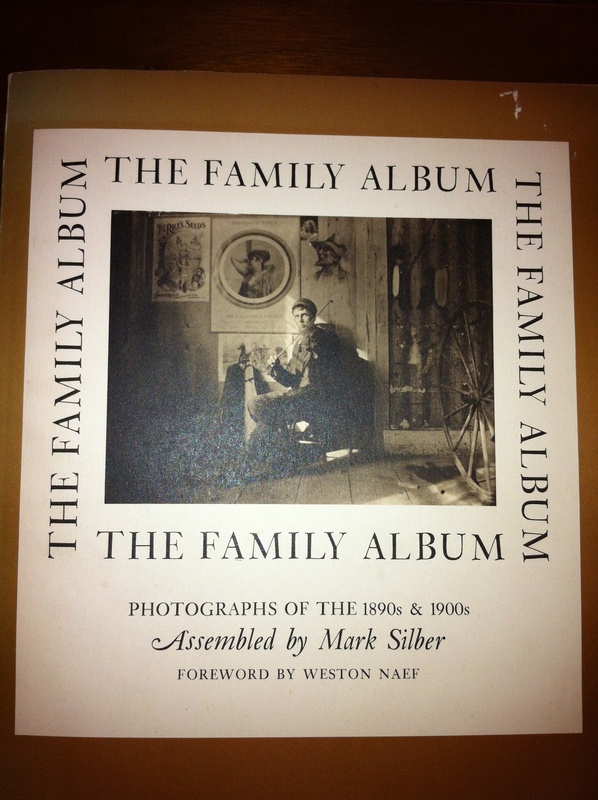 recently loaned me a book that’s titled “Family Album, Photographs of the 1890s & 1900s.” The book was “assembled” by Mark Silber and published in 1973. The photographs were taken by Gilbert ‘Burt’ Tilton and Fred W. Record, in Buckfield, Maine at the turn of the century (1900!). It’s easy to flip through this beautiful book and think about all the old photos from this era that have been lost to history, because they have no names or stories attached. It’s easy to take a camera phone picture today and upload the moment to Facebook with a few comments, but for storage purposes a digital image title of PIC9482 doesn’t do much to help us remember the people, places, or things that we photograph for our memories. I’ve created several photo books myself using Snapfish or other services and am always amazed that there’s no template that allows more than a few words to describe the picture. Mark Silber’s format is brilliant, for it allows the combination of both narrative and photograph. If I was impressed by the book, then I was equally touched by the foreward written by Weston Naef of the Metropolitan Museum of Art. Naef reminds the reader that the earliest cameras were so complicated that photographs were the work of professionals. By the 1880s, a portable box-type camera “made the camera even more versatile.” Naef then writes, “The final step in democratizing photography was the service offered by the Kodak company of allowing the photographer to send his camera with the film inside to the factory for developing and printing. George Eastman’s slogan ‘You press the button, we do the rest’ heralded the snapshot era.” We hear the word ‘democratization’ a lot in today’s literature, particularly as it pertains to self-publishing, but when is the last time you heard about the democratization of photography? Apparently, 1973. If you’re getting bogged down in excessive writing, then consider Silber’s “The Family Album” approach. You don’t have to be a professional photographer or gifted writer to preserve your family history. Snapshots + narrative can tell a story!